What is CART? Click here for information regarding CART services and providers. Who can provide CART in the legal setting? Click here. 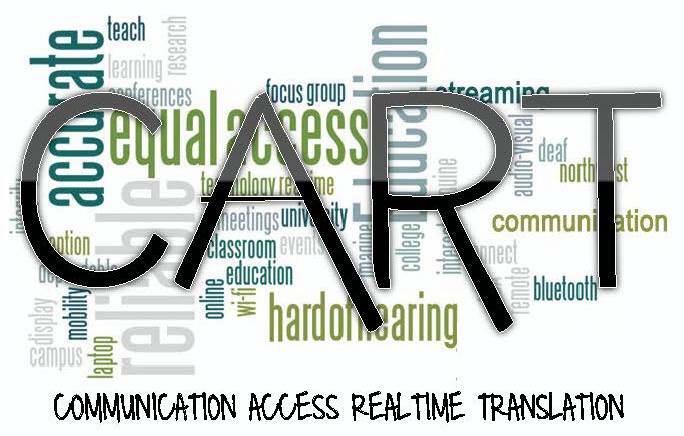 Click here for Recommended Interpreter CART certification levels. Click here for a list of CART providers (alphabetical by city). Click here to watch Whitney Riley captioning the Aid the Silent event from behind the stage. Click here to view the captioning Whitney Riley provided at the Aid the Silent event. 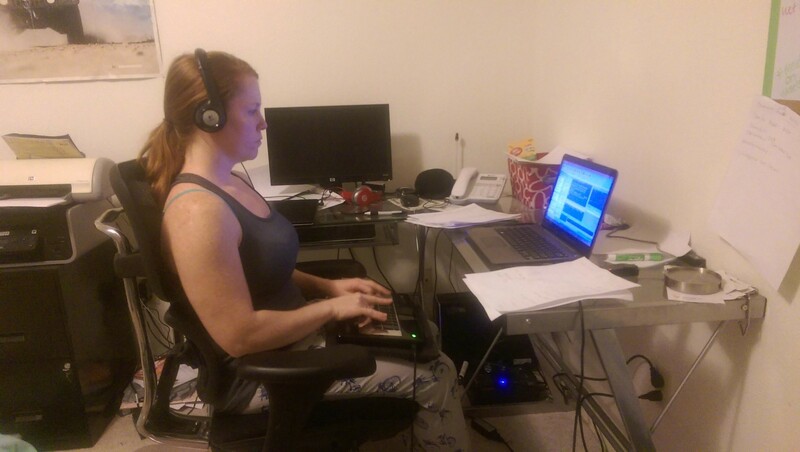 Kristi Usrey providing remote captioning from the comfort of her home office. 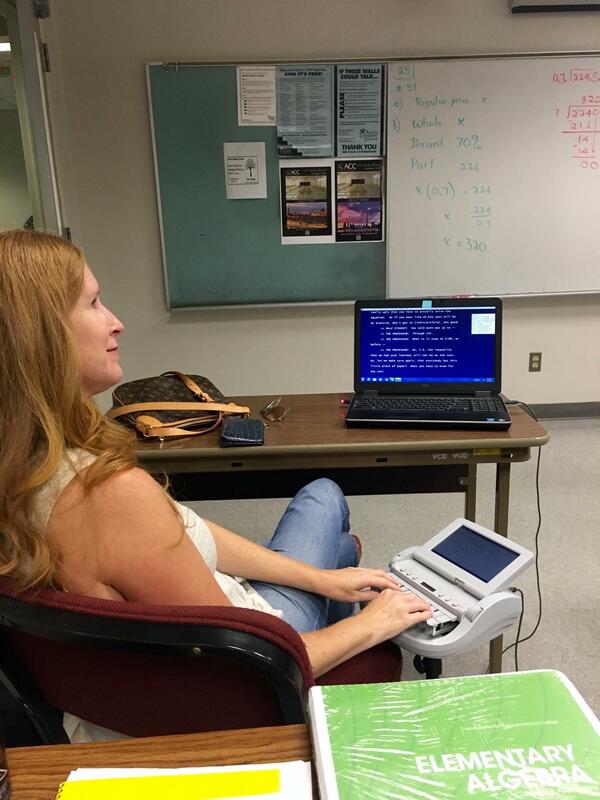 Kim Cunningham providing onsite CART for a university consumer. 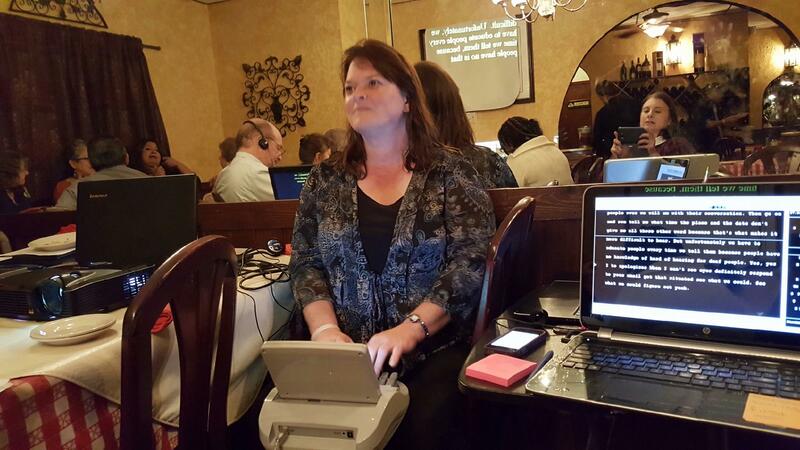 Kathleen Ullrich captioning in a restraurant, a very unideal location, but that's how it is sometimes! Whitney Riley captioning at an Aid the Silent Foundation 5K. Providing CART in Church. Picture provided by Terri Boling.